Extraordinarily beautiful color for painting turquoise blue skies, a must have for sunny Mediterranean skies and Tropical seas! Mixing with this pigment helps make bright, transparent shadows, also use it to render the desired patina on a copper pot. An inorganic pigment, it is considered transparent and non-staining (or low-tinting) and ideal for glazing methods. 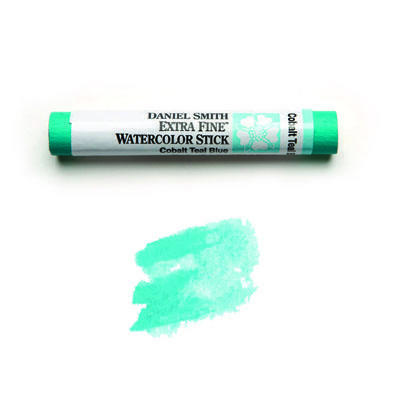 Cobalt Teal Blue’s ability to create soft edges, to lift and to mix readily make it a valuable contribution to watercolor palettes.